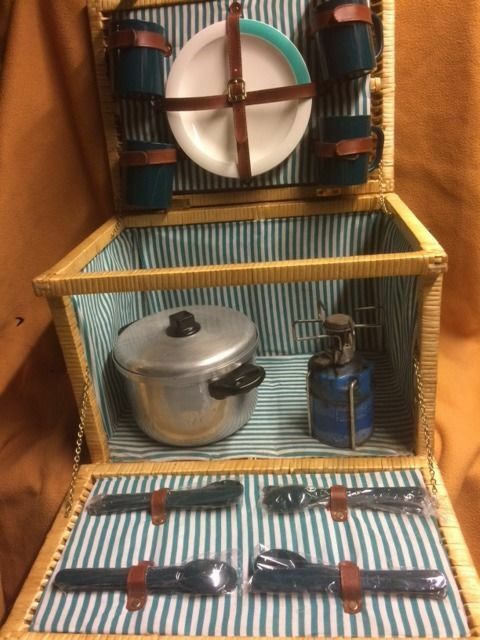 On offer: nice and complete picnic basket/case for 4 persons. Entirely is in neat condition and is barely used! 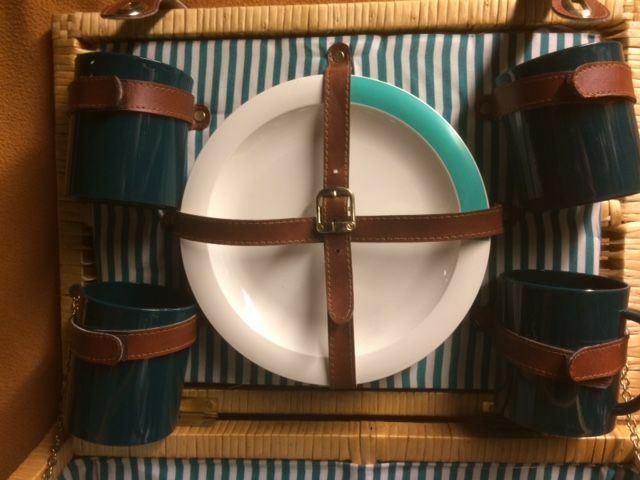 This picnic basket has original lining and also has a shoulder strap. The lid and the front can be opened, see pictures. The picnic set also includes a complete pan set and a gas burner so you can for example make a cup of tea when you are outside. The sizes of the case are approx. 46x33x33 cm. In short, a nice retro item for in/with/on your classic car, (sailing) boot, on a campsite or as a gift to surprise your loved one. Vous pouvez également retirer ce lot chez le vendeur: Porto (Portugal), Portugal.